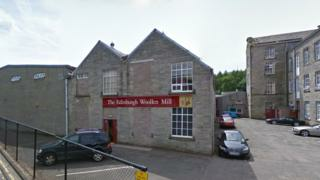 Edinburgh Woollen Mill has confirmed plans to move its head office from Langholm to Carlisle. The firm was established in the Dumfries and Galloway town more than 70 years ago. However, it said the current premises - home to 190 staff - were not capable of supporting a "modern, fast-growing, national retail development". The move has been criticised by local politicians, who described it as "deeply disappointing". The company said it intended to retain the head office building in Langholm with the hope of turning it into a heritage centre. A spokesman for the EWM Group said the move to a purpose-built head office 23 miles away would allow it to create more jobs. The switch will take place at the end of July. The company added that half the staff working in its current head office already commuted from Carlisle - a city with one of its oldest stores. "We believe that our staff are the very best in retail," the spokesman said. "They are committed, dedicated, creative and talented. "We are determined to make this move as easy as possible for every single member of staff." The company said its commitment north of the border remained strong. "The EWM Group employs thousands of people across Scotland in our stores, and we are continuing to invest in both the Scottish high street and national retail infrastructure," the spokesman added. "This move will provide us with the extra space to ensure that we can continue to create more jobs in Scotland over the coming years, as the EWM Group continues to go from strength to strength. "Our Scottish heritage is at the centre of everything that we do, and we want EWM Group to represent Britain proudly across the world." Dumfriesshire, Clydesdale and Tweeddale Conservative MP David Mundell said he was "very disappointed" by the news. He said the company had a duty to recognise the "loyalty and support" of the Langholm community. South of Scotland Labour MSP Colin Smyth said the news was not a surprise but remained "deeply disappointing". "These are jobs that will be lost from Langholm forever, in a community that can ill afford another economic blow," he said. Dumfriesshire Conservative MSP Oliver Mundell said that while there were to be no expected job losses it was a "bitter blow" for the community to lose its "last large-scale employer". South of Scotland SNP MSP Joan McAlpine described it as a "cross border raid" which was "callous and unnecessary". "While some workers will be able to commute, the real impact will be felt by small businesses in Langholm, such as caterers and hotels whose customers comprise a large number of EWM staff," she said.